This is probably our biggest site with the largest audience or visitors per day. The current site is the second iteration of website we have built for NCADD. The first went live on 5/19/11 and started the growth of their website to the level it is today as one of the biggest Alcohol Resources website. This is a fully custom website built using Joomla. The template is unique and designed to quickly let visitors navigate to their desired topic. The site uses a series of panels that are scrolled through, each has its purpose and links to a corresponding landing page. The site has a busy and well subscribed blog section which keeps many individuals but also website up to date through automatic feeds. The site supports a community of Affiliates, each with their own web page and information. These pages are supported by the affiliates who have editorial control over their content. The site allows a user to search for their local affiliate through an automated location based search or through users entering their location. 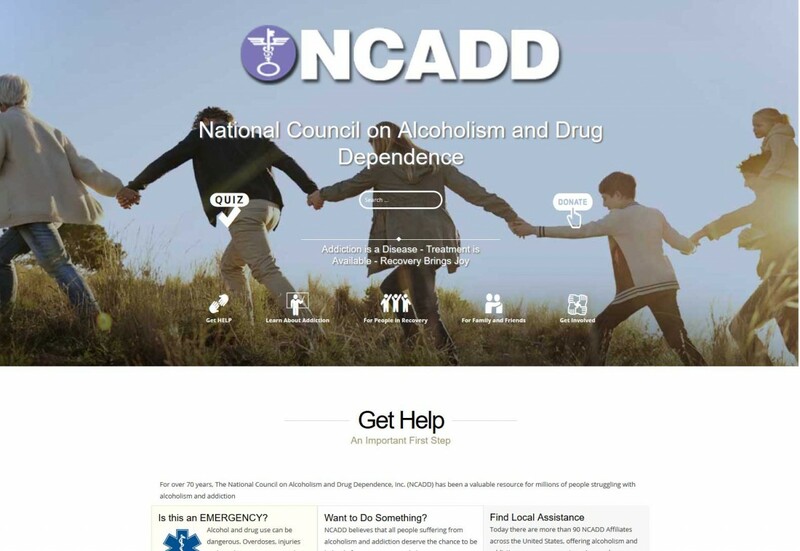 The site also has a number of custom quizzes for assessing addiction and many promo articles are controlled trough a series of tags which pull relevant information from articles and the blog.